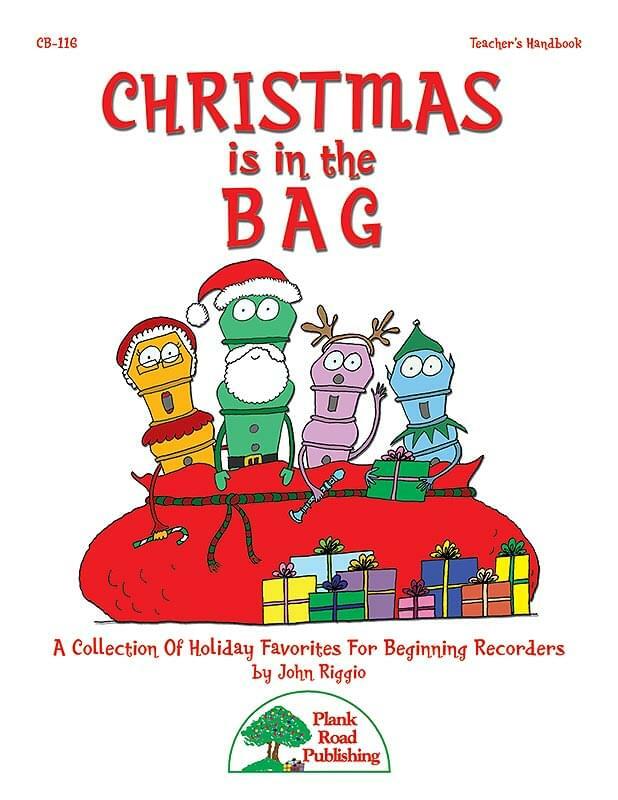 Many recorder units are just getting underway as the Christmas season rolls around, so John Riggio has created a unique collection of seasonal music that can be performed with just the notes B, A, and G.
If you have used John's compositions and arrangements, you know that he brings his own special spice to each song. And as a recording producer, he is first-rate, so you know that your students will be playing along with exciting, contemporary settings of these tunes. It's a great way to let beginning players feel confident about their skills. And it's a great way to see that they are rewarded with a successful performance experience. The kit includes a Teacher's Handbook with reproducible parts for your students and audio recordings of full performance and accompaniment tracks.